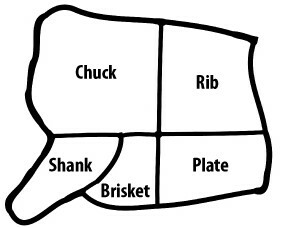 The chart below is a good example of the cuts and amounts of meat you would get from a front quarter of beef. Since all beef have slight differences in muscling and bone size the below is only an example and not a guarantee. 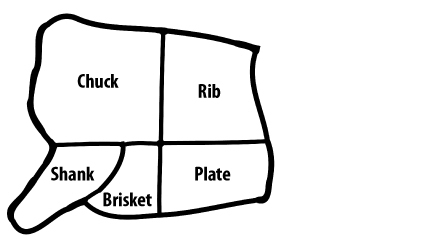 The chart below is a good example of the cuts and amounts of meat you would get from a hind quarter of beef. 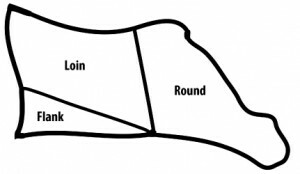 Since all beef have slight differences in muscling and bone size the below is only an example and not a guarantee.